There is Winnie the Pooh Super Sleuth CG series w/ new characters Buster and Darby. 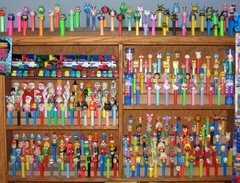 I think there was supposed to be a movie or something this fall, but it fell through (after PEZ had these on-line). So they were released in Europe only. I got them from Canada Connection.